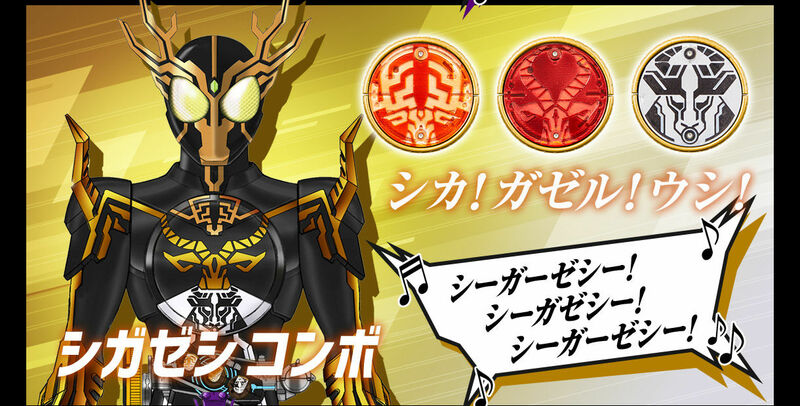 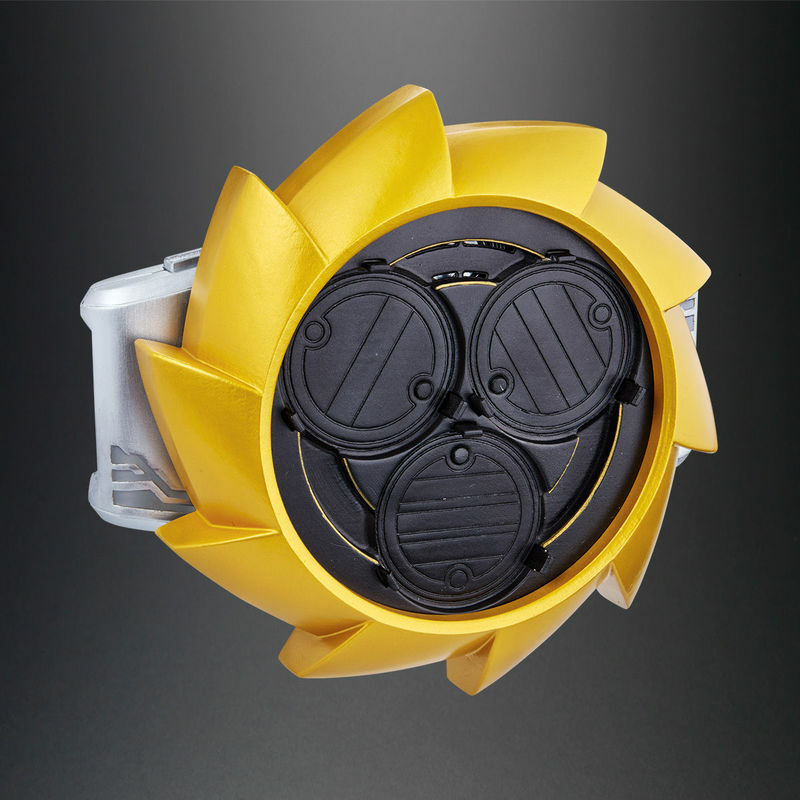 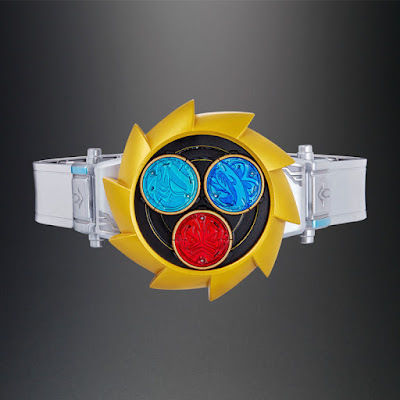 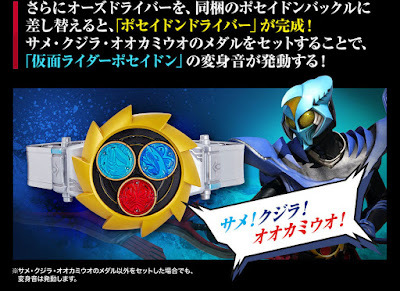 Premium Bandai has unveiled the official images and information for their newest, adult-sized henshin belt replica that is the Complete Selection Modification OOO Driver plus check-out the newly unveiled medal combos for Kamen Rider OOO! 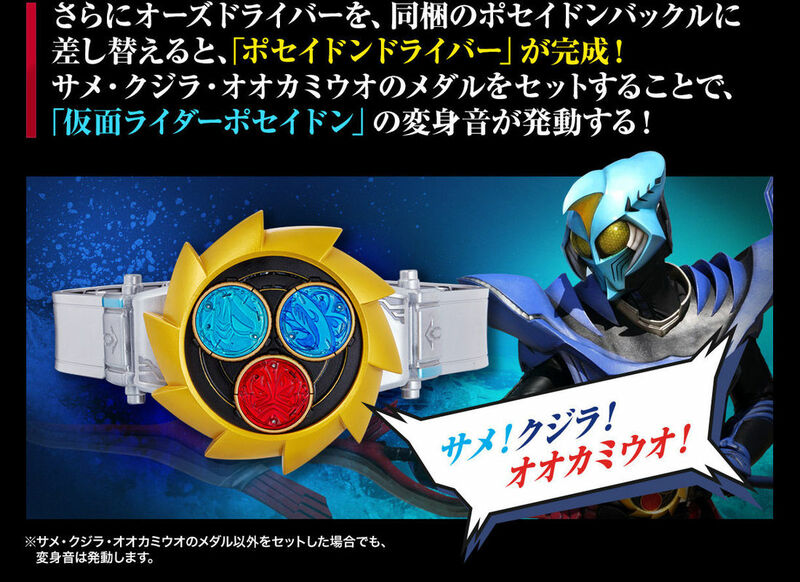 Before viewing the official images, here is the demo video for Eiji's signature henshin belt! 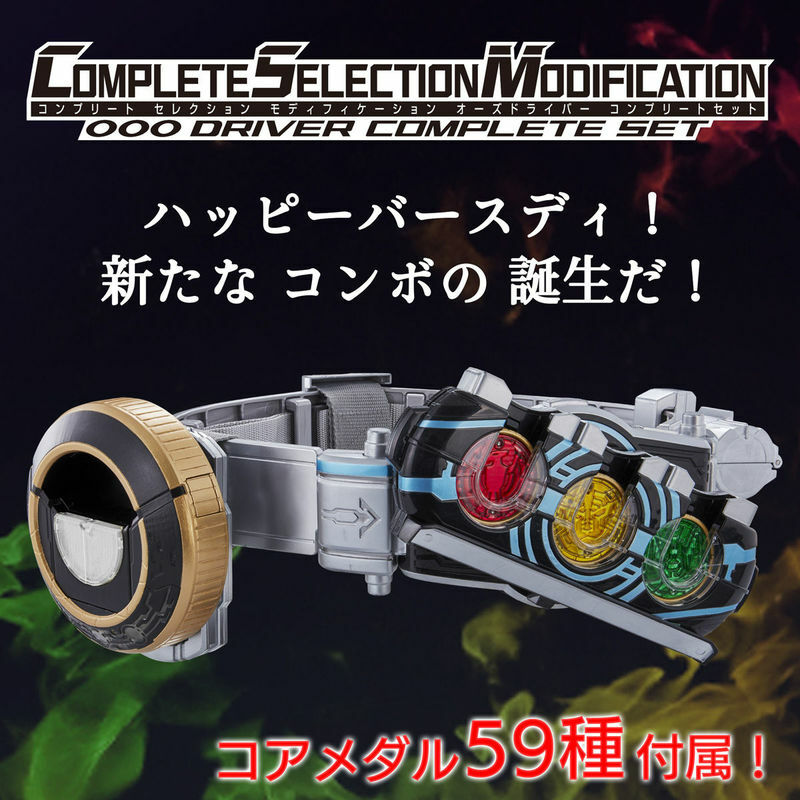 And now, enjoy the official images for the Complete Selection Modification OOO Driver! 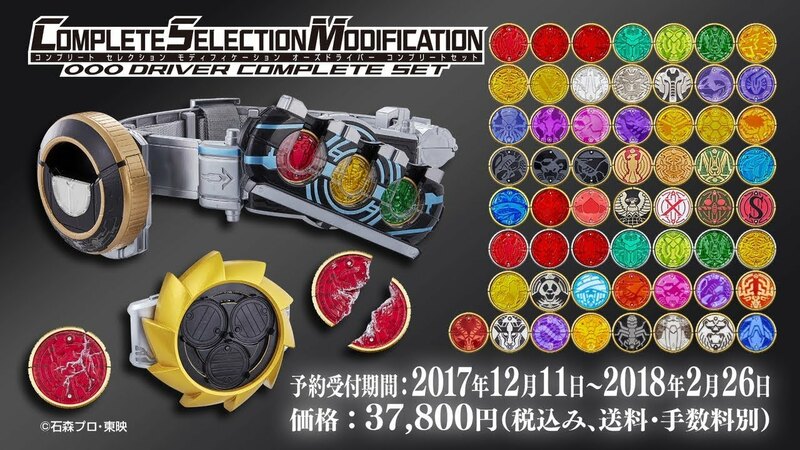 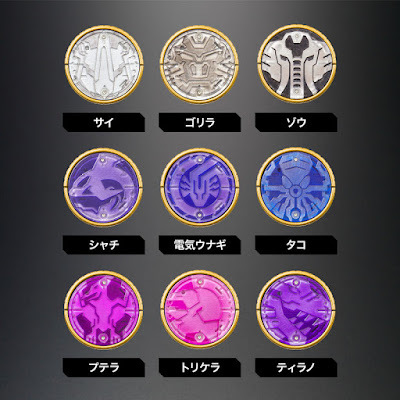 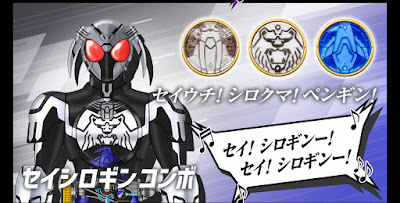 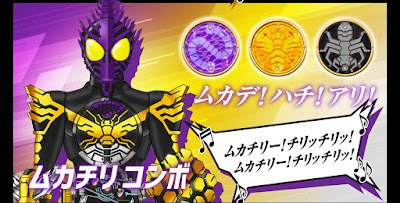 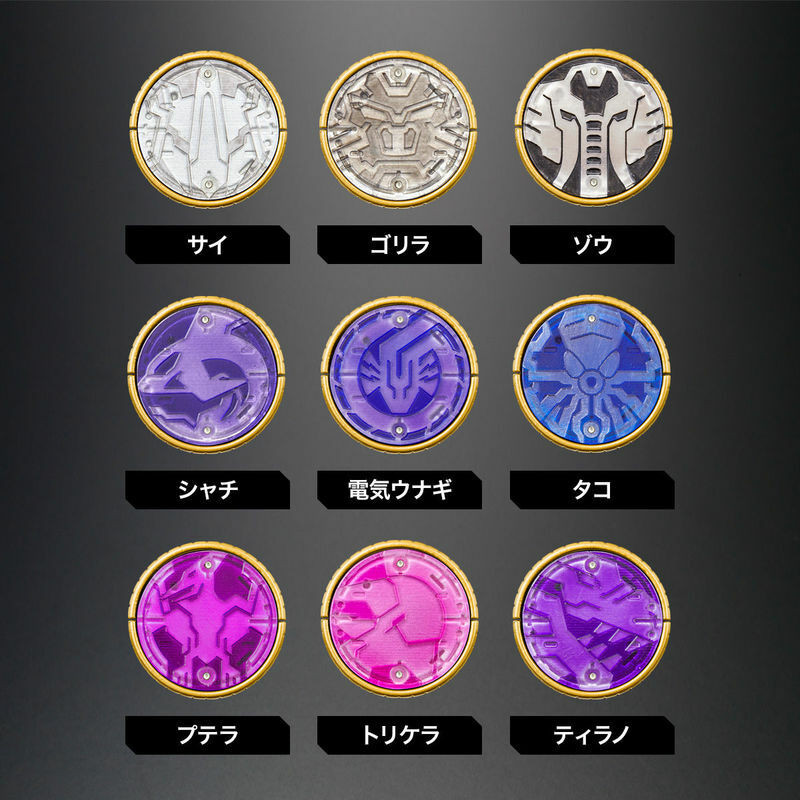 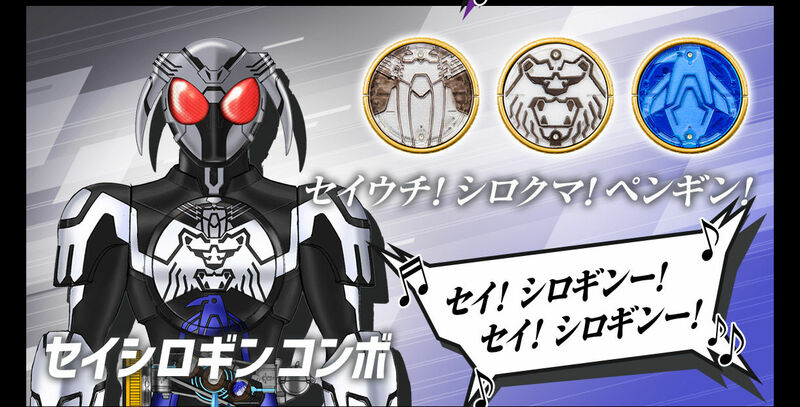 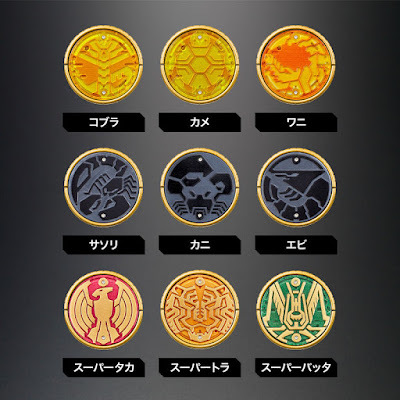 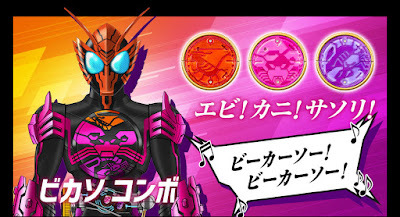 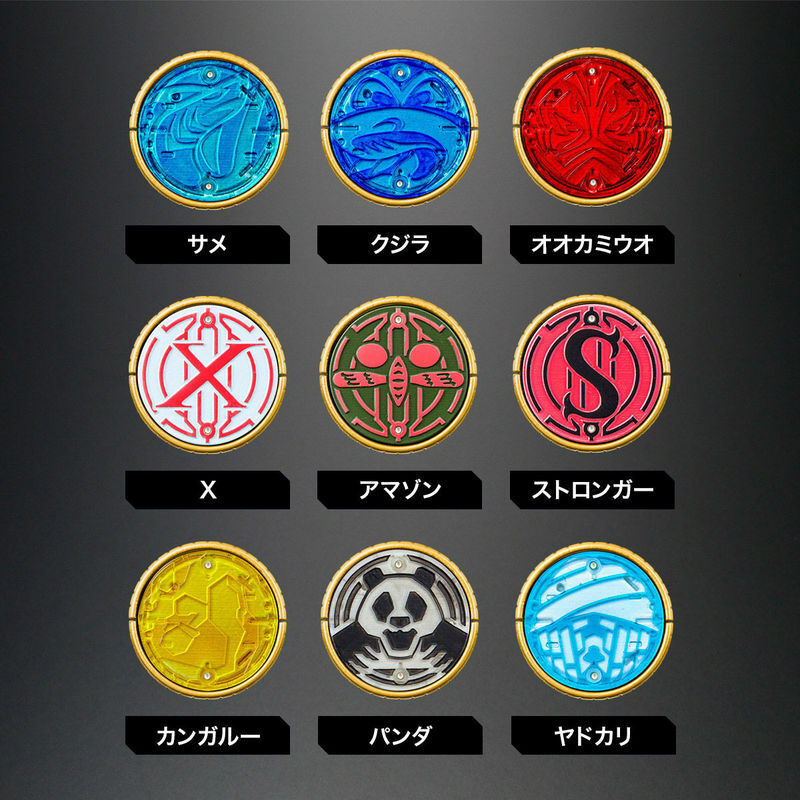 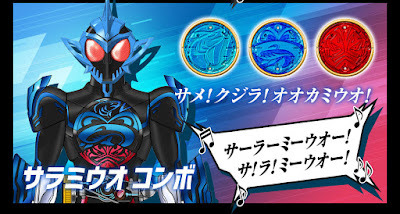 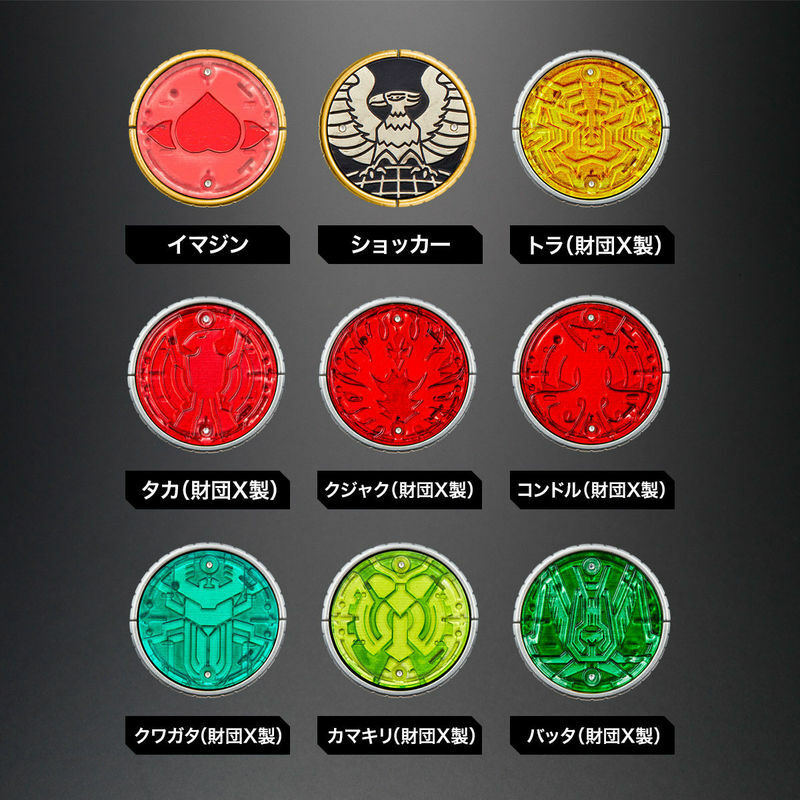 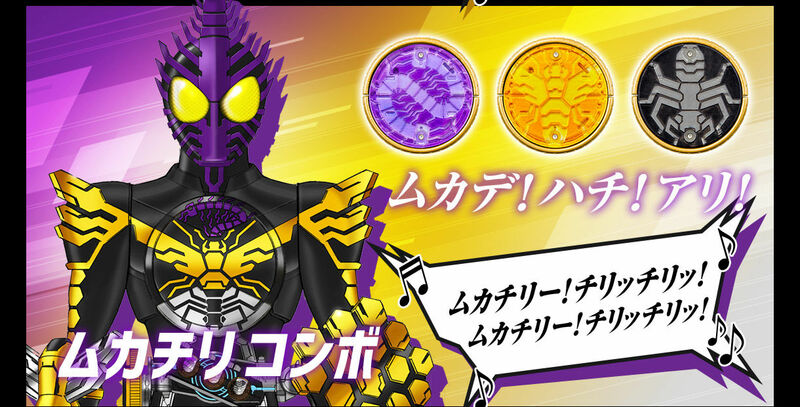 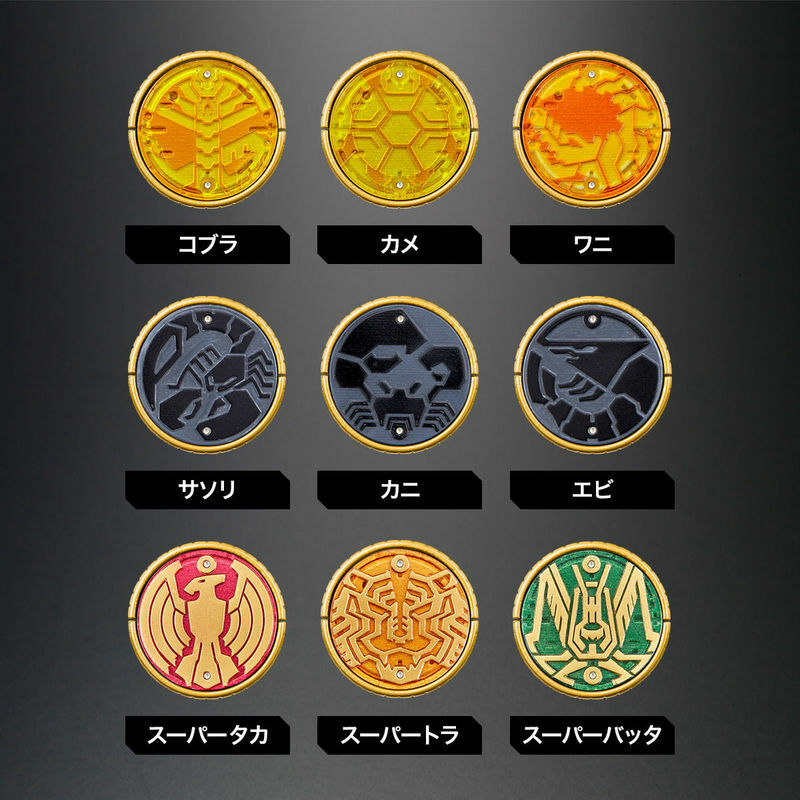 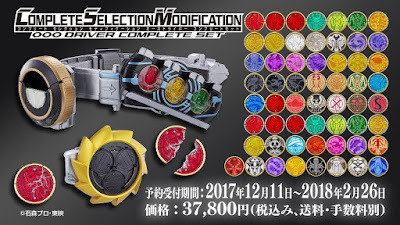 The Complete Selection Modification OOO Driver will include all the medals that we have seen from the the TV series, movies and Hyper Battle DVD plus all new medals for the all new combos (58 medals in total), a cracked Taka Medal, Poseidon Buckle and a color booklet. 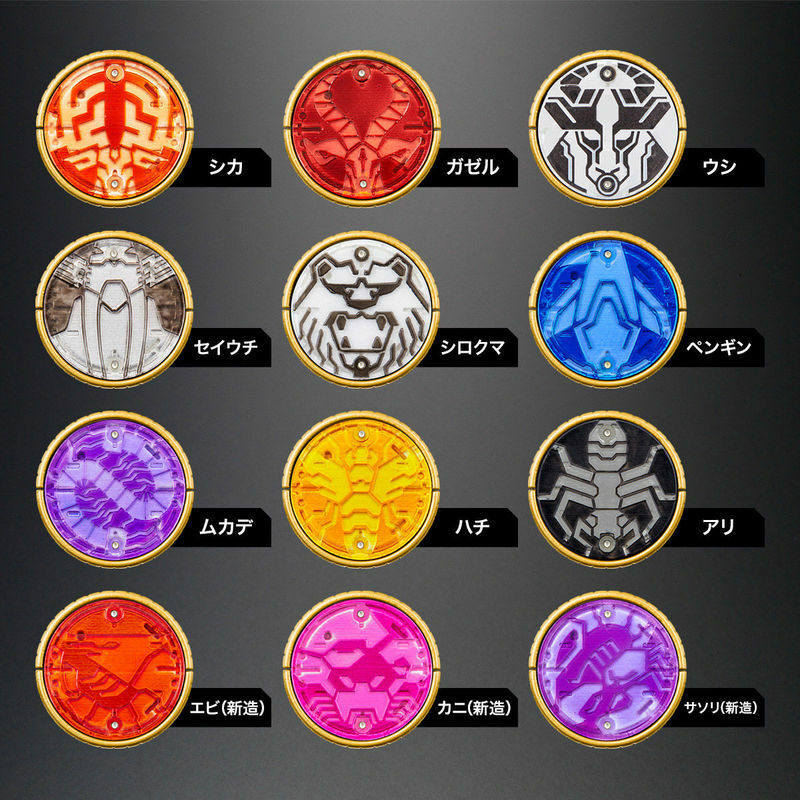 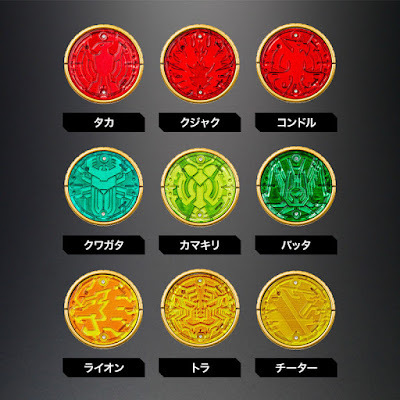 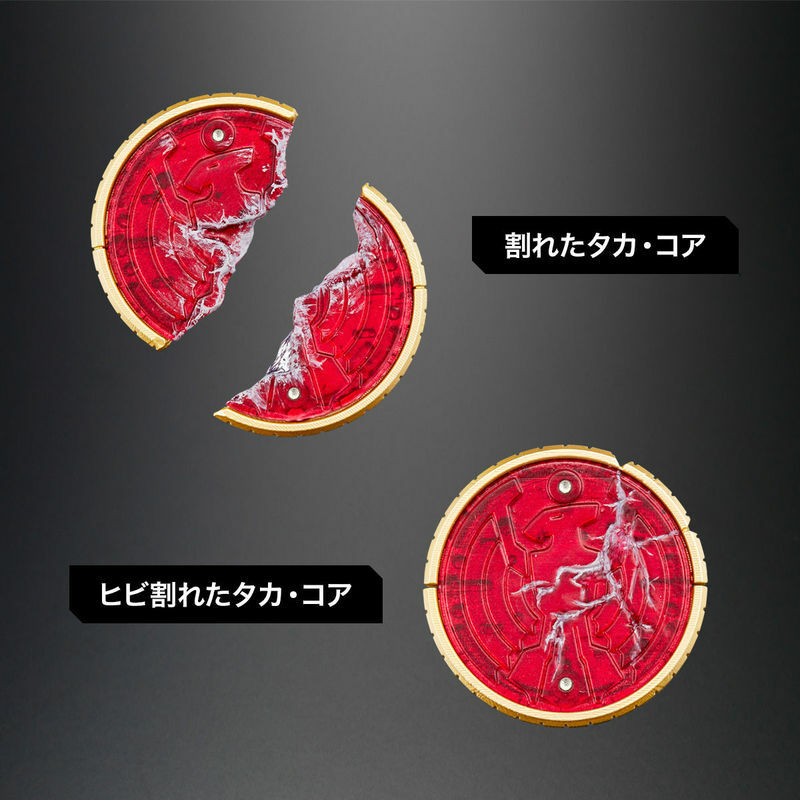 The OOO scanner will have an additional button besides the scanner button which activates the sound effects that has Eiji and Ankh's voice which is called the "Buddy Voice Mode" and will also have the same sounds that we have all heard from the TV series. 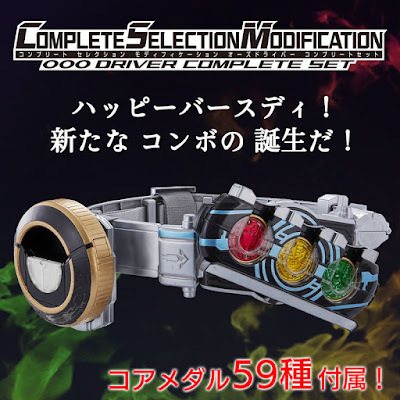 The Complete Selection Modification OOO Driver is scheduled to be released on June 2018 for the Premium Bandai price of 37, 800 yen and pre-orders will end on February 2018. 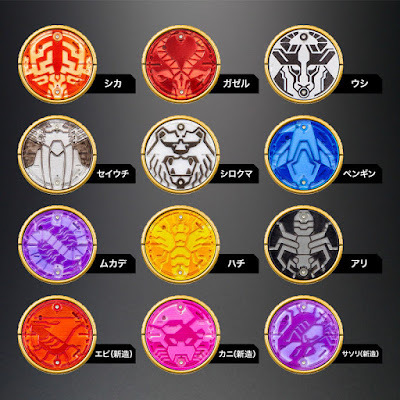 And before we end this, here are the newest combos for OOO which was not included in the DX version of the OOO Driver: Bikaso Combo (shrimp, crab and scorpion), Shikazeshi Combo (dear, gazelle and cow), Mukacheri Combo (centipede, bee, ant), Seishirogin Combo (walrus, polar bear and penguin) and Sarami Combo (shark, whale and bering wolffish) whose medals can be also used on the Poseidon Buckle which will activate Kamen Rider Poseidon's transformation sound.